“Within Our Gates” continues McCallum & Tarry's questioning of the impact of historical legacies on interpersonal and present relationships. In 2008 Atlanta Celebrates Photography, a non-profit organization, commissioned McCallum and Tarry to create a new artwork in the neighborhood where Dr. Martin Luther King lived in Atlanta’s Fourth Ward. 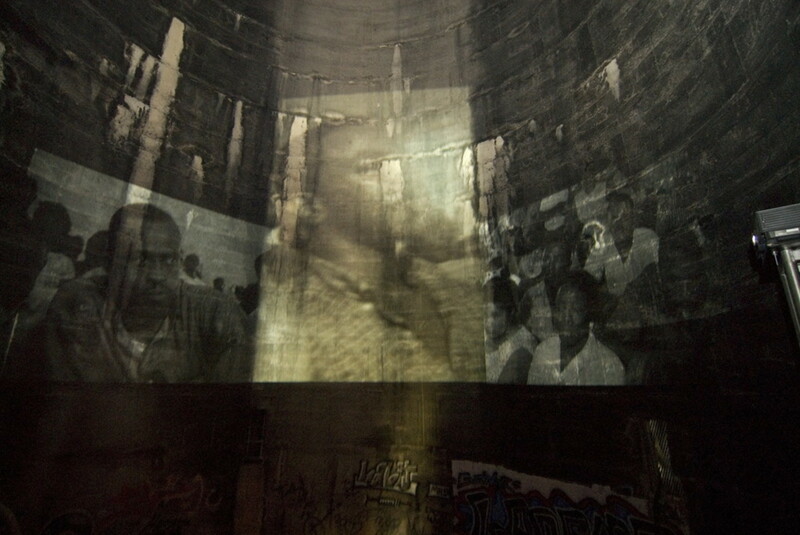 The artists chose a cylindrical concrete water tower, that has stood sentinel over the surrounding neighborhood for a hundred years on Atlanta’s historic Auburn Avenue, as the site for their new work. Interweaving archival images, historical text, and voice, “Within Our Gates” is an emotive three-channel video with a powerful soundtrack: an impressive rendition of the Ella Baker’s song “We who believe in Freedom cannot rest” by vocalist Imani Uzuri. This soundtrack is punctuated with the voice of Governor George Corley Wallace, a pro-segregation advocate during the mid-20th century period of the Civil Rights Movement, and excerpts from one of his speeches, “The Civil Rights Movement: Fraud, Sham and Hoax,” (July, 4, 1964) in which he repeatedly questions the patriotism of his people in response to the Civil Rights Bill. 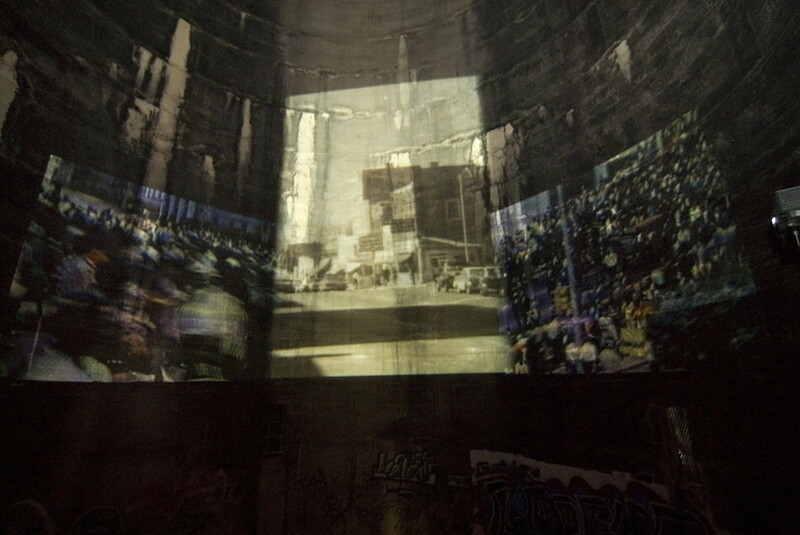 Projected within the darkness, and reflected in the pools of water, in the abandoned water tower, “Within Our Gates” illuminated the power of individual voice and social action, and invited audiences from the Fourth Ward to become enveloped in a passionate and dynamic expression and confrontation between past and present. This work is about memory. It is about our relationship to the civil rights era, a time of mythic status in our nation’s history, and examines where we stand in relation to our past and our future, to our parents, and our son. 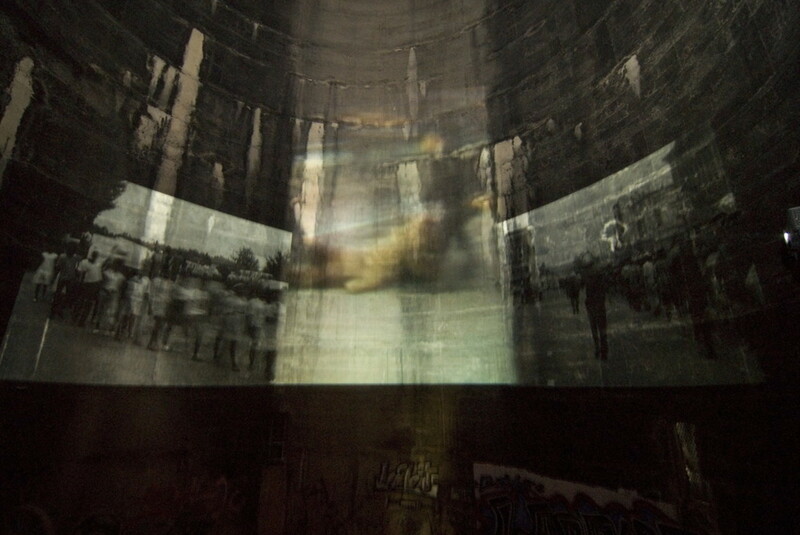 “Within our Gates” is a site-specific video work that draws upon 1960s news footage to create an immersive environment, and through that environment, brings to life the history of a place relevant as an architectural monument and as a vessel. 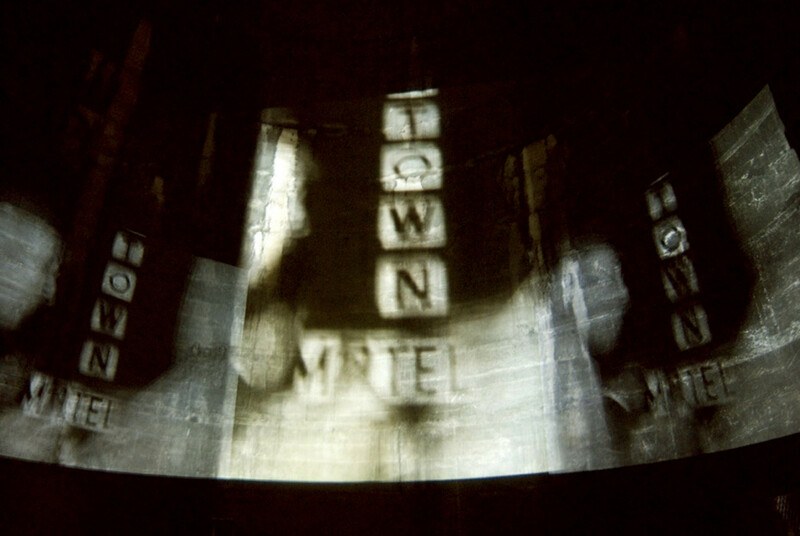 As artists we are concerned with the intersection of film, as document, and architecture, as a vessel and defining place. Both are objects of containment and resonate as relics and receptacles of time. 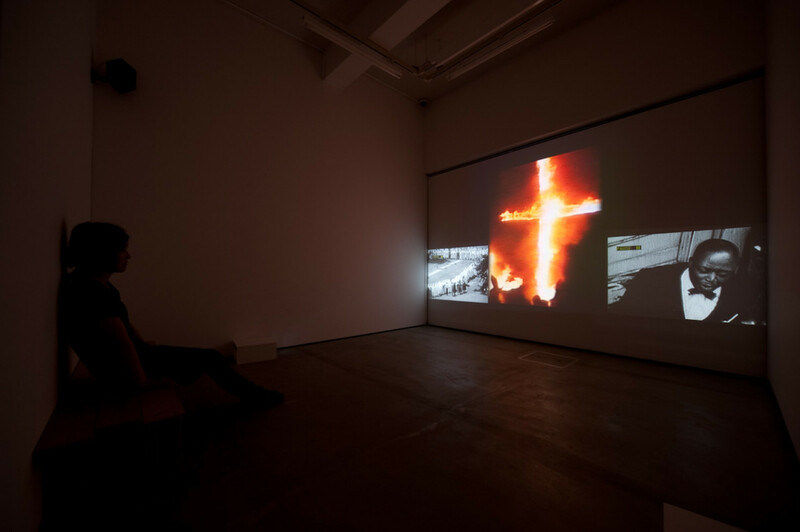 We are interested in the fragments of film that hint at the tenor of the time, landscapes that are intrinsically tied to our segregationist past and the fluid portraits of collective action and resistance. 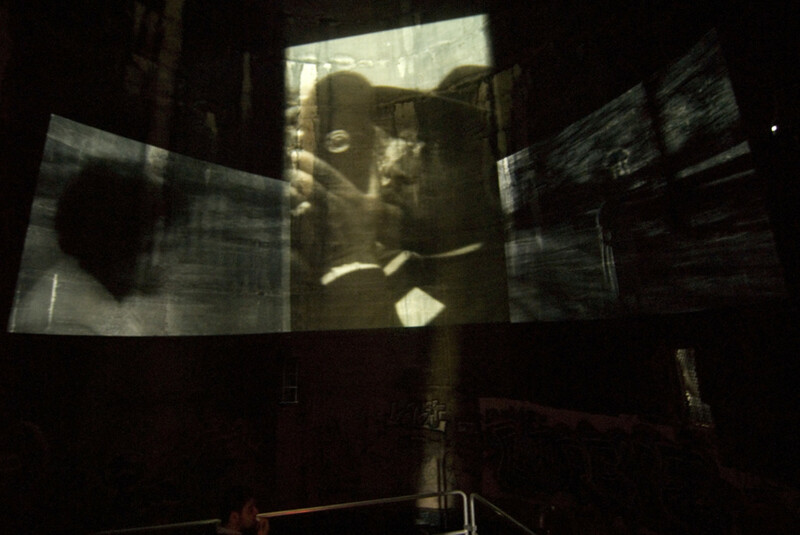 The physicality of the water tower, a structure built in 1906, and sited in the neighborhood where Dr. Martin Luther King lived and worked is used as an undiscovered passage that will transport viewers. As such, this is a work of vessels and thresholds, physical and metaphoric, about discovering a past that we know but whose tenor is elusive. 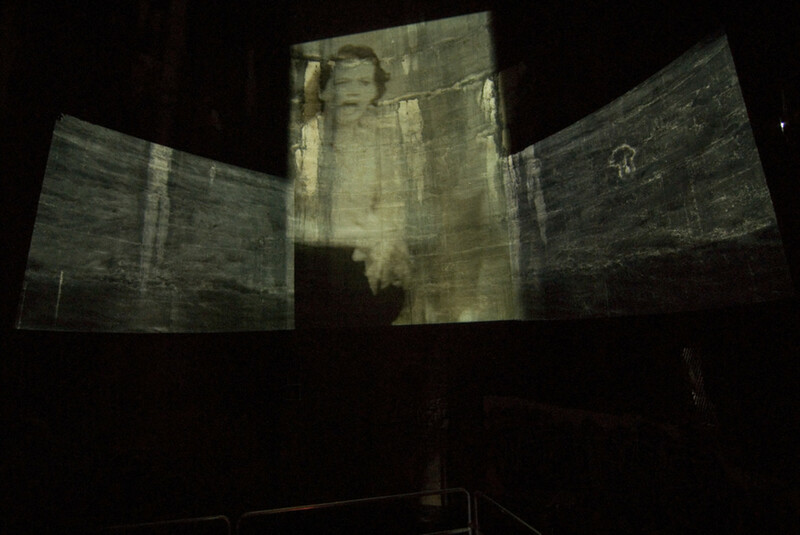 The interior walls of this impressive structure is covered with the patina of a century’s turmoil and this patina becomes the surface for a photographic record that seems indelible but is in fact impermanent. 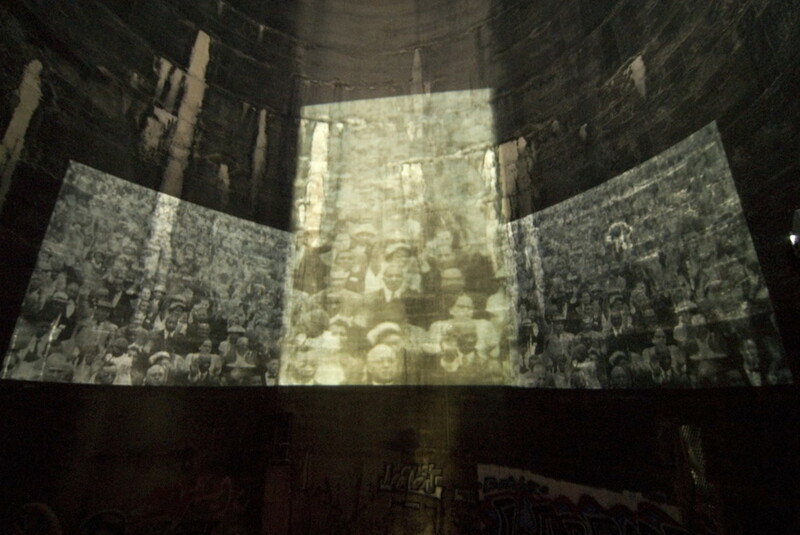 “Within Our Gates” bears witness to the expressive gestures of resistance: the march, the song, the applause, the wave. 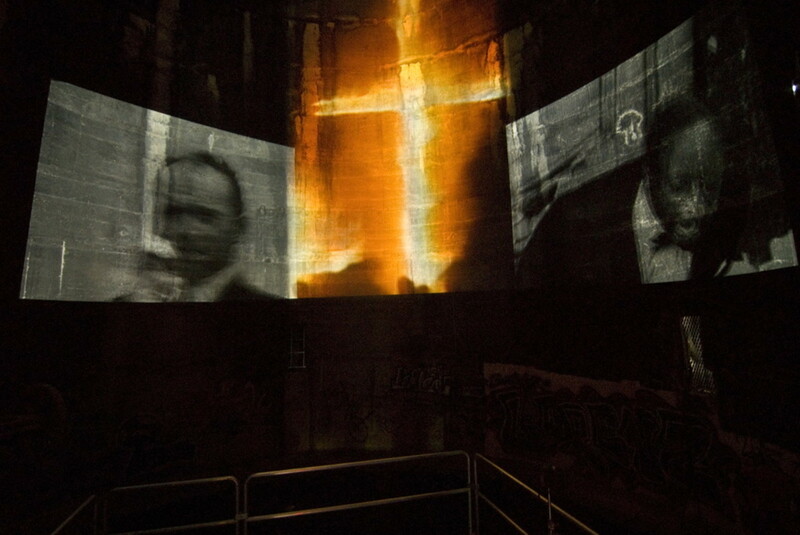 The hypnotic fervor of collective prayer that is conveyed through the physical movement of protestors, are projected in tandem with haunted places of rupture, the charred carcass of a bus, the smoldering foundation of a church. 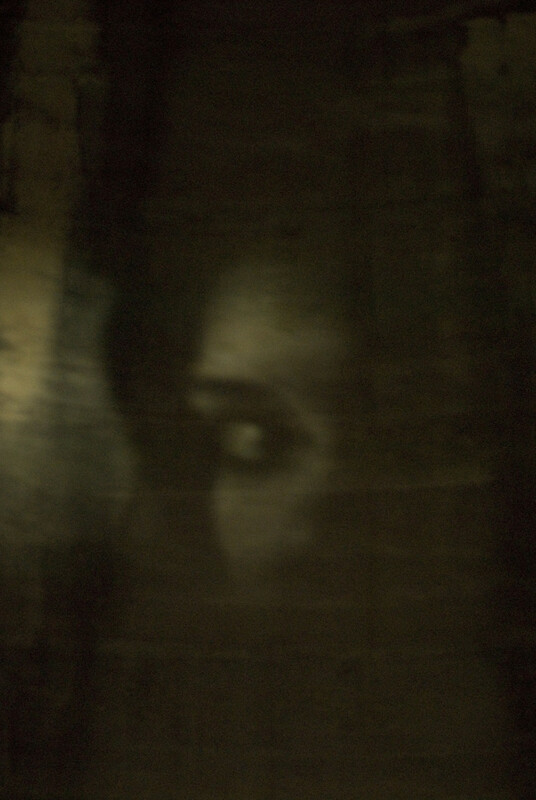 Our use of this site and the fragility of this film, is to create a meditation on the elusive gesture, the direct and indirect gaze, the nuanced expression, violent confrontation, the abandoned and scarred landscape. 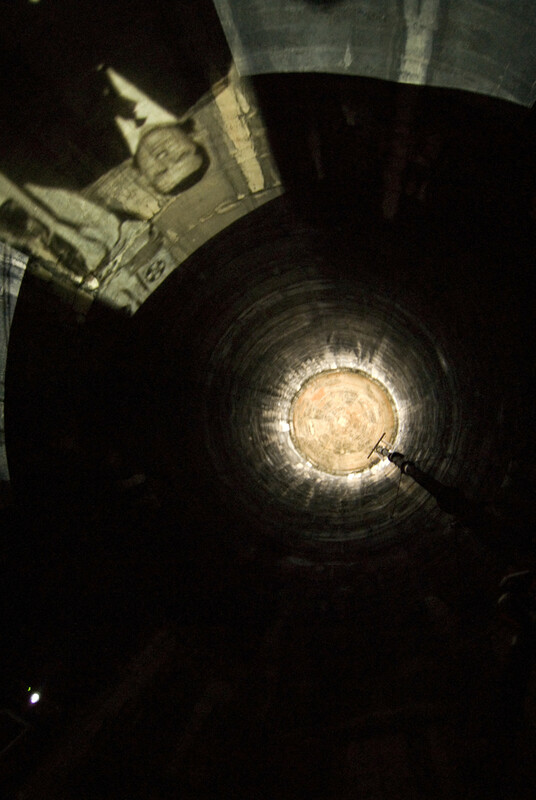 It is a reflection of the disjunctive spaces between memory and document, remembrance and possession, heritage and accountability.